Progressive metalcore takes the heavy syncopated riffing, technical guitar melodies and growled vocals of metalcore and fuses them with experimental, djent and atmospheric elements, to create a very specific sound. The success of pioneers such as After the Burial and Erra has led to a profusion of bands that tend to employ the same motifs, putting themselves at risk of ‘copycat’ and ‘cliché’ accusations. There has been something of a backlash against progressive metalcore recently in the bloggers/music critics’ sphere, and I have been surprised to read so much negativity. Bands are parodied for their ‘plural’ names (Architects, Monuments, Structures, Intervals etc. ), and vitriol is poured on their ‘silly’ 8-string guitars, twiddly riffs, insane time signatures and space/time lyrical themes. I find this slightly depressing; for me, the profusion of bands playing such increasingly complex, technical music is evidence of the current strength of metal. We all seem to have forgotten how incredibly difficult this stuff is to come up with, and it is admirable that so many (often very young) bands are playing and composing at such a high level, often successfully combining heaviness with beauty. 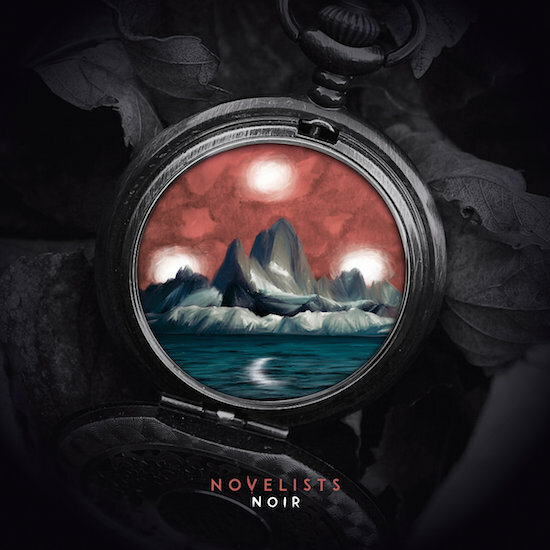 The key to critical success in this busy subgenre is to find a sound that is entirely your own, and French band Novelists undoubtedly achieved that with their first full-length, Souvenirs (2015). 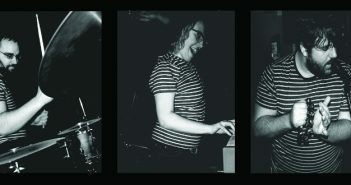 Yes they’ve got a plural band name; yes they play guitars with more than six strings, yes they do the chugging stop-start rhythms and intricate guitar licks; but their sound on Souvenirs was natural, unforced, and filled with moments of extraordinary beauty. I adored it, and the record garnered enough critical acclaim to grab the attention of Nuclear Blast (SharpTone) for the band’s sophomore album, entitled Noir and out 8th September. There are twelve full-length tracks on Noir, many of which are mid-tempo. Almost all the songs begin with far-away atmospheric intro sections which employing clean guitars, piano, even a saxophone. Yes that’s right, second track ‘Monochrome’ has an actual saxophone in it. All this illustrates that Novelists are swayed towards the ambient end of the metalcore spectrum, but also perhaps that they simply don’t worry about anyone’s preconceived notions. Novelists’ real innovation – and for me their trademark – is their delicacy, a characteristic which is very difficult to achieve within the boundaries of metalcore. The harmonics in ‘The Light, the Fire’ are irresistibly pretty, as are the elegant guitar melodies in ‘Under Different Welkins’, the fluid guitar playing providing a perfect foil to the juddering rhythms. Make no mistake though – there’s plenty of heaviness in this. ‘Les Nuits Noirs’, ‘Grey Souls’, ‘A Bitter End’ and ‘Stranger Self’ all contain deep pounding riffs, and the album is structured such that it builds gradually into these heavier anthems. Matt Gelsolmino uses enough clean vocals on the album so that when the growls kick in they have extra impact. My one issue with Novelists is that personally I’d like to hear a bit more bass. While that may contradict with the idea of delicacy, their sound occasionally borders on tinny, and leaves a craving for the bass of ‘heavier’ metalcore bands. Concerning songwriting, there aren’t really any weak tracks on the album, but there are undoubtedly some stand-outs: first single ‘The Light, The Fire’ has one of the most beautiful choruses going at the moment. ‘Under Different Welkins’  successfully develops that signature guitar motif that they created on the last album; and final track ‘Heal the Wound’ has the perfect exhilarating balance of crushing riffs and pathos. As with Souvenirs, Noir is an album in which to lose yourself. Noir takes up where the last album left off; no huge surprises, but well-crafted songs and highly accomplished, emotional, natural playing. 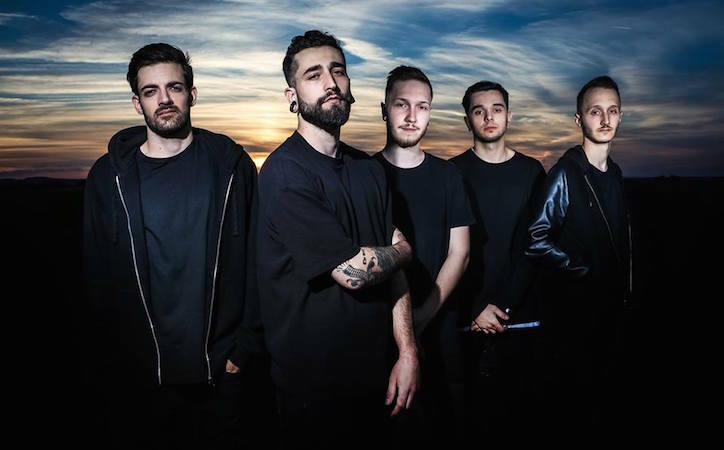 Novelists are a young band and in order to survive in the maligned world of progressive metalcore, they will have to think carefully about where to take their sound next. I for one can’t wait to find out which way they go. 1. I had to look up ‘welkin’- it’s an old English word for the heavens or celestial sphere. Just in case you didn’t know either!